Us Against Whatever, Middle Child’s electrifying production will open at Hull Truck Theatre this Wednesday, 27 March. 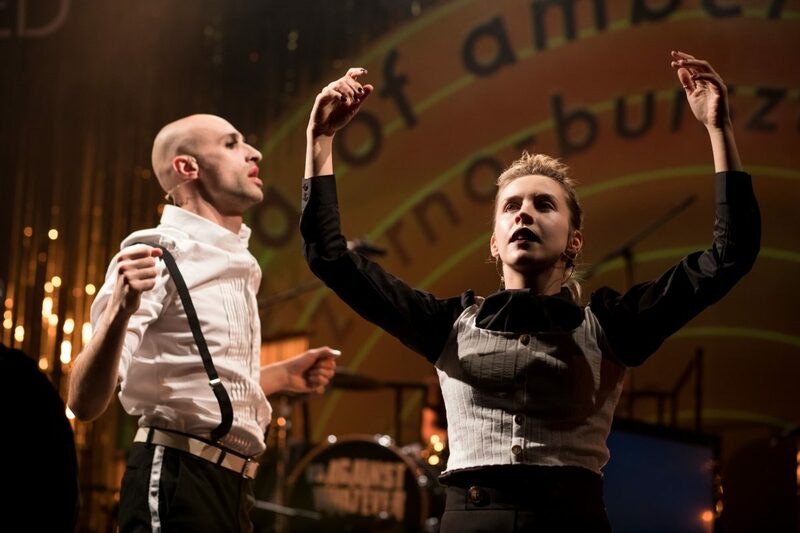 Us Against Whatever will be the first time that Hull’s Polish community has seen itself in the theatre, with two Polish performers taking centre stage in a cabaret about what it means to call Hull home. The story follows the lives of two women in Hull over eight years, leading to their coming together in a karaoke bar on the night of the EU referendum in 2016. Audiences will also be able to sign up to sing karaoke themselves on the famous Hull Truck stage during the interval, as well as singalong to original songs throughout the show. One of the characters is Anna, a Polish woman from Masuria, played by Polish actor Edyta Budnik (Killing Eve, BBC Three). Edyta is joined on stage by Adam Hadi (Warsaw Film School), who will star as Anna’s brother Michal. Adam also directed the movement in the show, bringing a touch of European flair to the choreography. Hull writer Maureen Lennon wrote the script in collaboration with Polish theatre maker Nastazja Somers, while the National Theatre, British Council and Polish Cultural Institute also supported the production, adding to the international links in a show that comes at a momentous time in UK history. Us Against Whatever is presented in association with Hull Truck Theatre and Liverpool Everyman & Playhouse. The production will run at Hull Truck Theatre until Wednesday 3 April. Adam Hadi and Edyta Budnik in Us Against Whatever.